Human rights groups and UN leaders have condemned the violence against Myanmar’s Rohingya ethnic minority as bearing the “hallmarks of genocide.” Nearly 680,000 Rohingya await their fate in neighboring Bangladesh’s refugee settlements, overextending the country’s already strained resources. Countries have so far done little to alleviate the crisis, and they are reluctant to classify the atrocities as genocide, says Kate Cronin-Furman, a postdoctoral fellow at the Harvard Kennedy School’s Belfer Center for Science and International Affairs. While no intervention is imminent, she says, there are immediate steps countries can take to help Bangladesh bear the refugee burden. Does the situation in Myanmar fit the legal parameters of genocide? The crime of genocide requires the intent on the perpetrator’s part to wipe out a group, either in whole or in part. That can be a national group, an ethnic group, or a religious group. What we’re seeing in terms of the Burmese military’s so-called counterinsurgency campaign is behavior that looks like evidence of such intent. There is a bit of a controversy about whether this is ethnic cleansing—whether they are just trying to get them out or they are actually trying to eradicate them. For my money, particularly the especially brutal forms of sexual violence and the targeted attacks on very young children and babies, these are the hallmarks of a genocidal campaign. When we look at past genocides, such as Rwanda, we see this similar, very brutal, and very destructive sexual violence, which potentially looks targeted at destroying the reproductive capacity of a nation. It looks systematic and it looks particularly destructive. Same again with young children and babies—this all goes to establishing whether this conduct meets the definition of genocide under the  UN convention. We also have this long history of Myanmar’s treatment of the Rohingya, which also points in this direction. How have the Rohingya been treated historically? The Rohingya are frequently referred to as the world’s most persecuted minority. They are a group that is essentially denied citizenship rights in the country that they live in. They are restricted in their ability to do everyday things like go to school, decide who to marry, and decide how many children to have. 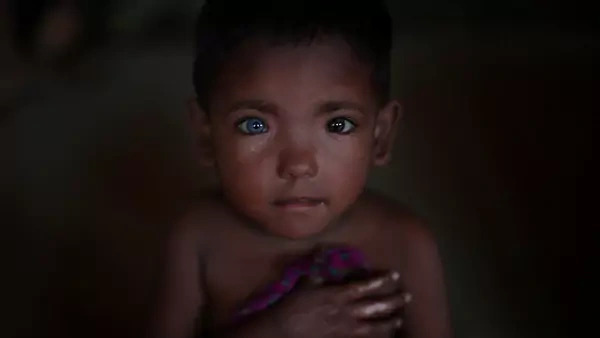 The Rohingya are frequently referred to as the world’s most persecuted minority. In 2012 there was widespread interethnic rioting between the Rohingya and state-facilitated local Buddhist populations in Rakhine State, where Burmese security officials were actually arming the Rakhine Buddhists, transporting them on buses to burn villages, and so on. This is a very high level of consistent state persecution of a vulnerable minority over a very long time. Why has there been a reluctance to classify this as genocide? There are a couple of things going on. One is that there is this perception, which is not actually legally correct, that genocide is the most serious crime—that if something is genocide, then there is this strong, moral obligation on members of the international community to act. If we look back to Rwanda in 1994, we saw members of the Clinton administration in the United States trying really hard to avoid using the term genocide, because they thought if they called it genocide then they would have to do something. It is something that we have seen again and again: this idea that if it is genocide then we have to act, so let’s not name it as such. There is also the fact that Myanmar has the support of China, so any intervention against the Burmese government’s will would be very difficult to accomplish. The [UN] Security Council is not going to get China’s support to intervene if Myanmar doesn’t want them there, so that is a major hurdle. It’s a little bit of an open question how much the absence of U.S. leadership hurts here. The United States under the Obama administration wasn’t particularly keen to intervene militarily to stop mass atrocities. We saw the debate over Syria play out over years, and it’s not as though now, under a different president, we are out there doing something. But I do think that the fact that we have a U.S. government that is explicitly disinterested in promoting human rights has a little bit of an emboldening effect, where repressive regimes know that they can get away with a little more than they used to be able to. If the U.S. State Department determines that a genocide is unfolding, would that increase the chance of some kind of intervention? I’m not sure that it would. The kind of structural impediments to action, particularly the presence of China in the Security Council and the fact that the Syria crisis is still ongoing, makes this a very tricky case to get intervention. No one looking at the Rohingya crisis is going to be able to fool themselves that some kind of surgical strike would do anything here. Anyone who gets involved is signing on for the long haul. More than several hundred thousand people have been displaced. It is just a huge crisis. How can the United States effectively aid the Rohingya? The most useful thing anyone can do is to pour money into Bangladesh. It is a poor country hosting a massive refugee population. It is a struggle to feed these people, to give them health care, to make sure they have housing. So far there hasn’t really been conflict between refugees and the host population. We’ve seen incredible generosity on the part of Bangladeshis local to the area. But it is often a problem that develops, when international [organizations] come in and give necessities to the refugees and locals feel like they are getting the short end of the stick. So really, both populations need aid right now and a very clear avenue through which assistance can be delivered. The question of whether sanctions can do anything at this point is a bit murky, but we know that food and medicine for refugees and assistance to the host population will help. The most useful thing anyone can do is to pour money into Bangladesh. Is anyone seeking to classify the violence as genocide? We’ve seen a tremendous push on the part of advocacy groups in the West to classify this as genocide, because they feel it is really valuable. Looking at how things played out in Rwanda, they feel the word genocide carries additional moral weight and that if they are able to get their governments to say this is genocide they will be more likely to get further action. So that is definitely a key ask of every advocacy group working on this issue right now. There is also the separate question of evidence gathering. There is a UN Human Rights Council investigation; there are also a number of human rights organizations working on the ground, getting testimonies and trying to fit the pieces together. Both are happening, and they have been happening for the last several months. But it’s not just the law that matters; it’s the politics too. How have Myanmar’s neighbors responded? It’s interesting because this is a Muslim population that is being persecuted. The countries speaking out are a little different than usual. We’ve seen officials from Turkey and Pakistan, for instance, refer to this as genocide, and that’s not who you usually expect to be the first voices calling out mass atrocities. Obviously, Bangladesh has been doing the most here, allowing this population to cross their border. At the same time, there have been restrictions on that, and there has been pressure on the Bangladeshi government to do more. India’s initial response to the crisis was to consider expelling the Rohingya refugee population within its borders, which was not a particularly humanitarian-minded reaction, and we are still not seeing leadership within India on this issue. There was a small population of Rohingya refugees in Sri Lanka being targeted by militant Buddhist monks there. We are not seeing significant action from anyone other than Bangladesh on this issue. But then we’re not seeing a ton of action from the West either.